France has a way of appealing to pet and animal lovers. With its wide open spaces, enticing country properties and laid back way of life, it is hardly surprising that many ex-pats bring with them (or acquire) a menagerie of animals and pets to keep them company in their new lives en France. (Travelling to France with Pets.) It can be idyllic... certainly our personal menagerie of dogs, cats, horses and guinea pigs has never been happier, and the same seems true of many. It can, however, take a while and more than a little adjustment to reach this happy state of affairs, as life in France is different in a number of ways, to a greater or lesser degree depending on where you lived in the UK and the area of France in which you have landed. Our own journey has taken us from the north-east of England to the deep south of France, so our animals have found some very different conditions to deal with in their new lives. The most obvious change is the weather (Weather in France). Newcastle-upon-Tyne is renowned for its harsh cold winters... (and harsh cold summers sometimes!) whereas the Languedoc (Languedoc-Roussillon Property - an insider's guide, Languedoc-Roussillon Property Guide), close to the Mediterranean Sea and not far from the Spanish Costa Brava tends to be somewhat warmer, at least in summer. Or hotter. Ok, it can be HOT! With our pets, the cats just lap it up, it can never be too hot for them, but the dogs need to find a refuge from the heat, so we have equipped their quarters with cooling fans and made sure that they always have access to shade and water. Their walks are taken in the early and late parts of the day, when the heat's not too intense. Mostly, it is just common sense changes such as these that you will have to make with regard to your pets, but there are one or two more complex issues that you will need to address. Most towns of any appreciable size seem to have not just one but often several veterinary practices. As with vets in the UK, the best way to find a good one for your pets and animals is by personal recommendation, but this isn't always possible in a new town, let alone a new country. The "Pages Jaunes" or Yellow Pages may help (remember that the listings are different from in the UK, as instead of listing by name or occupation the listings are by town). There are ex-pat forums on the Internet which cover most areas of France, and sometimes it is possible to obtain a word of mouth recommendation from these. Otherwise, it can be a good way of getting talking to your neighbours... if they have a pet you have a great excuse to go and introduce yourself and ask about local vets! The situation is in a state of flux, and liable to further changes after the recent Presidential elections. It is difficult at times to be certain what the legal position is. There are certain sites that you can check for changes to current regulations and I suggest you bookmark the following as useful sources of information. These outline the regulations in place which govern the vaccinations needed to import an animal, but once in the country the position is less clear. Certainly it would seem a good idea to maintain the vaccination programme for your pets as recommended by a vet in your area. This allows for the benefit of local knowledge of recent outbreaks of disease, changes in local laws and other area specific information. If you can keep your pet's passport up-to-date (involving blood testing, tattooing or micro chipping and yearly vaccination against rabies) this is also desirable, as should there be an unexpected recall to the UK, a pet with an up-to-date passport can travel with you, eliminating the worry of finding care. Once the blood is drawn for the rabies tests, the animal must wait for a period of six months before it can be repatriated to Britain (assuming that the result is positive for antibodies, otherwise the process begins again from scratch). Before leaving the topic of passports, a word about micro chipping and tattooing. Pets chipped or tattooed in the UK must be re-registered in France, through a French vet. It is essential to take your paperwork along so that this can be done. If you do not re-register the pet cannot be identified in France. Ticks and fleas can be a real problem if you don't take preventive action. They thrive in the warmer conditions, so be sure that you keep up the monthly treatments of a product such as Frontline, which will protect against these pests. Dogs and horses suffer from a tick-borne disease known as piroplasmosis which can be fatal if undetected, so it is doubly important to keep up the protection. Symptoms include lethargy, depression, joint stiffness and loss of appetite, although frequently these symptoms can be confused and attributed to other problems. The only answer is to vaccinate against the disease (vaccines are now widely available although not considered absolutely failsafe), and to protect with a spot on or spray on preparation as recommended by your vet. If you see a tick on your animal, you can remove it with a tick remover, but it is still advisable to take the animal to the vet for a check up and blood test, especially if there are any signs of the animal being "not quite right". Another problem that can occur through insect bites, particularly in the south of France, is leishmaniosis. This is another potentially serious or fatal illness, caused by the bite of the sandfly. It is treatable, if caught early enough, by the simple method of giving daily tablets of Allopurinol. A blood test is the only reliable form of diagnosis. If you are uncertain which is the best product for your pet for any of these problems, or the time scale needed to maintain maximum protection, take veterinary advice. France has a dangerous dogs act similar to that in place in Britain, but it is perhaps more rigorously enforced. Dogs classified as Category One or Category Two (chiens de garde, d'attaque ou defense), are subject to special rules and regulations. Category One includes dogs such as Pit Bull Terriers, and also dogs which resemble pit bulls, Mastiffs or Tosas but which have no papers. Dogs which fall into this category must have muzzles on at all times in public places, must be on a lead and accompanied by a person over eighteen years of age, must have up-to-date vaccination certificates (carried by the owner in public) and must be sterilised (certificated proof required). Category Two includes dogs registered as American Staffordshires, Tosas, and Rottwilers, and similar rules apply with the exception of sterilisation. If you own one of these breeds or have a dog which resembles them, it is imperative to comply with the law, and vital to keep all the paperwork to hand. Up-to-date information as to the categories and regulations (which can be subject to change) can be obtained from your local Mairie. It is also important to note that while an ordinary household insurance policy may cover pets (third party liability) this is not the case with dogs from Categories One and Two. Separate insurance must be purchased for these breeds. Staying with the subject of dogs for a little while longer, we come to the fragrant topic of... not to put too fine a point on it, the "merde" as the French say. It can't have escaped anyone's notice that pavements in the towns and cities (famously, in the Capital of Paris, subject of Stephen Clarke's witty book "A Year in the Merde") are not always as clean as they might be, but the good news is that many towns are taking notice and implementing action to clean up. Even the greatest dog lover isn't fond of standing in the stuff during a shopping trip or when popping to the bank, so responsible dog ownership is the key here, with everyone doing their bit to clean up after their own. Local laws are usually posted on the boards outside the Mairies, so check up on policy too. In general, dogs are tolerated better in France than in the UK, with lakes and beaches not out of bounds even in the summer season. There may be local exceptions, but it is not at all uncommon to share swimming space at these places with our four-legged friends who are just as eager to cool off in a spell of hot weather as we are! This is good news for those of us who like to take our dogs on days out, and even better news for the dogs who may otherwise be left in hot cars (don't underestimate how quickly a car can become an oven in warm weather) or locked up at home while their families have fun. France has a phenomenon which manifests itself each autumn and lasts until February every year. Known as La Chasse, the tradition is that all red blooded French men must leave their beds before dawn on designated days (almost always including weekends, when most of us would have liked a peaceful lie in), dress like Rambo and get out into the countryside to blast anything that moves with a shotgun. If this sounds like a bit of an exaggeration it may be... but sometimes it seems only just! Whilst many members of the Chasse are, of course, respectable and reasonable pillars of the community, it makes sense to try to keep cats and dogs at home on these days, even if you normally allow them a little freedom of the countryside, as mistakes could be made in hot blood. Sadly, our pets, unless they are tortoises or elephants, don't live as long as we would like. The payback for the joy of owning them is that we have to suffer the grief of their passing, and sometimes we have to take that difficult decision to end their suffering. Vets in France are just as sympathetic and sensitive (in general) as those in the UK, and euthanasia methods the same. Many vets will come to your home to perform this ultimate service, although there is, of course a fee for this. Recently, when we reached this point with a dog that we had rescued from ill treatment in Spain and had had for several years, the vet asked us to sign a certificate stating that he had not bitten anyone or anything in the last few weeks. He explained that this is a necessary requirement, otherwise he would be obliged to do an extensive post mortem and file a report. Fortunately, this dog was not the biting type, but it was the first time that I had heard of this law. There isn't much you can do about it, if your dog has bitten a person or animal in the days preceding being put to sleep you. You have no choice but to admit it, but it is something which I feel pet owners should be aware of. Another point which, while not concerning any change to the laws is nevertheless important and often misunderstood by owners, is the always very sad question of what to do with the body of a loved animal that has passed on. It is quite legal to bury a dog, cat or other small animal on your own land if you wish, but it is imperative that you choose a spot that is not near a well or other water source to avoid contamination. This may sound obvious, but in times of distress we do not always think that clearly. 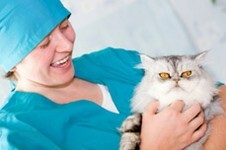 Of course, should you not wish to bury your pet at home you can ask your vet to deal with the disposal of the body. Some areas (although not all, by any means) will offer cremation services for pets, as exist in many parts of England these days, but you need to check with your vet if you think you might want to find such a service. They will usually also offer you the choice of receiving back the animal's ashes in an urn. The case is different with horses (or any large animal), however, as it is not legal to bury a horse in France. Once more, your vet should be able to advise you and provide contacts for specialist firms who will remove the body. Horses too, must have their passports clearly marked as "not for meat". Many questions seem to focus on the dangers posed by snakes. We do have snakes in France, and although many of them are not venomous, there are a few adders and vipers around, just as there are in the warmer and wilder parts of the UK. If a cat or dog is unfortunate enough to sustain a bite from one of these it can be very serious, but these instances are rare, despite the horror stories traded on some ex-pat messaging boards! And if you are planning to bring snakes into the country as pets, it is important to be aware of and to comply with current regulations. Do the French love animals? The jokey answer could be, "Yes, as long as they can eat them!" but the truth is that the French can be as sentimental and caring of their pets as we Brits, and equally as cruel. There can be a somewhat two-sided approach to animals in France, with some, sadly, treating them as a disposable utility whereas others clearly dote on them and go to great expense to ensure their well being. This is not vastly different from the situation in the UK, where ill treatment of animals is also far too common. If you should wish to provide a home for an animal that is desperately in need of some TLC you can contact your local SPA, or Society for the Protection of Animals. Alternatively you can take a look on the website of the Phoenix Centre, an admirable organisation which is based in the Dordogne, but which serves the whole of France. Run by British ex-pats, the centre has many animals for adoption, so please take a look! The website is www.phoenixasso.com. Rabies is not commonly found in France these days. It is wise to vaccinate against it, as France is a country with land borders to countries which do have the disease, but it is highly unlikely to find an outbreak or even a scare. Always obey the export rules, however, and don't take risks by importing illegally. Feeds and other pet related products are easily obtainable in France. They are sold in both specialist pet shops and supermarkets, with many brands popular in the UK available here at similar prices. Vets also offer a selection of goods for sale, and these include feeds for those in need of special diets as well as collars, leads and toys. Health care products such as Frontline and wormers can be purchased from the vet or from local pharmacies, with the pharmacies often offering the best prices. Wherever you are going to in France, with a little preparation and knowledge there is no reason at all why you and your pets shouldn't enjoy your new lives. Bon chance! Just want to confirm something about the blood tests needed. Do you know what the blood tests are called or do you just ask for a general immunity check? And also how do you get the blood tested? Do you need to mail it somewhere or can the vet who took it do that? "I'm not sure of the actual name but would guess a blood test is something like 'controle de sang'. I'm sure your vet will understand what you want from that anyway. And, as with doctors here in France, the vet will take the blood, give the vial to you with a note, and you take it to a Laboratoire d'Analysees. (There are several in our town and you can ask your vet where your nearest one is.) Then you go back to get the results whenever they say, and take the results to the vet." In May I'm travelling to France with a Jack Russell. Heading down to Cannes. Will she need a sandfly collar and a recommendation for a vet close to Boulogne? Thanks for contacting us. I have not heard of sandfly collars being necessary in France, but I would suggest you go and see your vet here in the UK, as they should be able to confirm what is needed. For a vet near Boulogne, the port should have details of vets. Or you could try Pages Jaunes or personal recommendations on forums such as Hobos in France or Total France (for advice on sandfly collars as well). Are French dog owners responsible for keeping their dogs off your property, or is it up to you to secure your garden from visitors? Thanks for contacting us. I would think that it would be up to dog owners to control their dogs in France, but if they don't and the dogs keep coming onto your property, then it would make sense for you to protect your property so that the dogs cannot gain access. I am unaware of any laws about this however. The best place to check this out would be your Mairie. We moved to France last year. We live in the Haute-Vienne and we are thinking of buying a puppy. Do you know where we can buy one locally? We have looked on the internet but don't seem to be having much luck - hope you can help . Thanks for contacting us. The places to look may depend on what sort of puppy you want, whether a pedigree or not. But generally I would try asking some local vets, neighbours, look in the local paper, ask at your Mairie, see if you have a dog rescue any where near to you. You could also look at Pages Jaunes for dog breeders, and try looking on forums such as Hobos in France, which I understand is often useful. Having had a quick look at the local Limousin site AngloINFO Limousin, I see they have contact details for local animal refuges and shelters, which have dogs needing a home. Could you please tell me if there is a limit on the number of dogs you can own if you live in the Gers and in the country. Planning a move to France soon, my older dog is taking Vetmedin for his heart and is insured here in UK. Does anyone have experience of obtaining this medication with a prescription from their French vet? Thank you. Should anyone be able to offer any advice, please do get in touch. 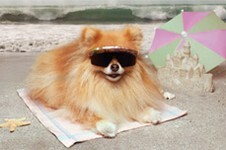 Can anyone tell me the regulation of taking a dog on the beach from June onwards? Is there a special time ie; before 8am and after 8pm? Any help would be appreciated. I have an old dog that I was planning to move to France with. I understand the need for the vaccinations and blood tests and any other preparations for travel, but what about existing conditions that are not contagious? If my dog is functioning well, even if the condition will shorten her life span, is it impossible to get a dog passport? Is it up to a vet to say yes or no or is it a blanket policy to disallow any existing non contagious conditions in dogs? I don't want to have her put to sleep before it's necessary and was hoping to give her time in our new house. Are there any rules on this? The Mayor is personally responsible for ensuring all domestic [not wild] animals are correctly looked after, controlled and properly fenced in. It is not your responsibility to fence against straying animals. I was informed by the Gendarmes that if there is more than one dog they have to be penned to provide free access to the property by anyone. You cannot use a dog to keep people off your property as they may have a legitimate right to enter. There is an Article [French Law] covering barking dogs. You make a formal complaint to the Mayor and he/she is obliged to notify the owner, to control the dog(s) within ten days. If they fail to control the dog(s) they are taken to a dog pound. If there is an animal(s) on the road they are the responsibility of the Gendarmes - but they have to see them on the road. So take photos, which they may or may not accept. So next inform the Mayor. Do not forget to make a formal complaint at both and insist the Gendarme gives his name - they will try and dodge giving it but just stand there until they do. If the Mayor doges his responsibility, inform the Gendarmes who will twist the Mayor's arm.